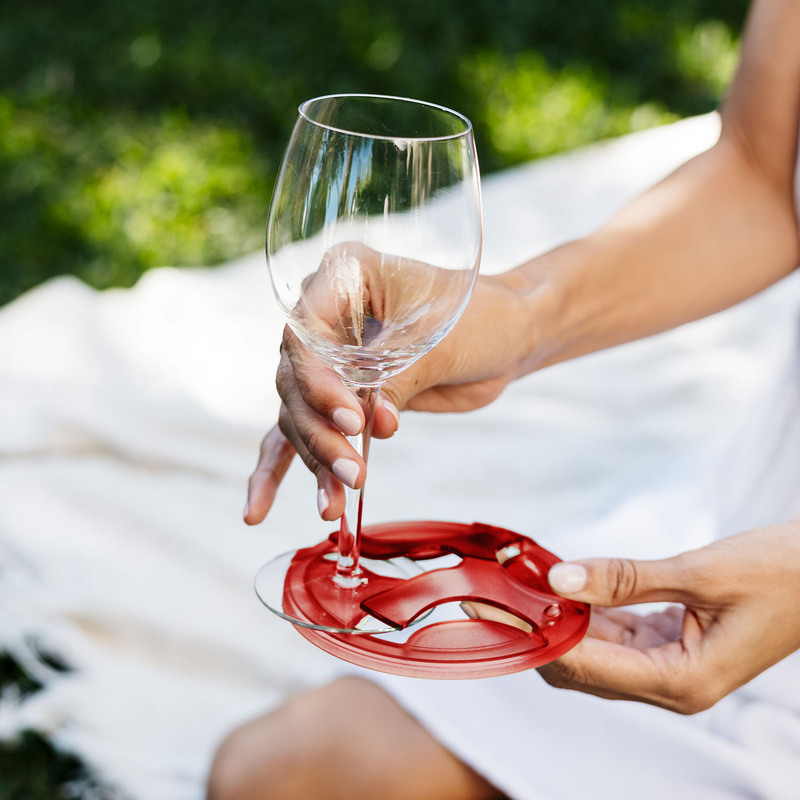 It’s a base you slip on your wine glass so you can put it down almost anywhere! They transform your favourite wine glasses into outdoor glasses. They are perfect for picnics, wine events, festivals, outdoor cinema, BBQs, pools and spas. 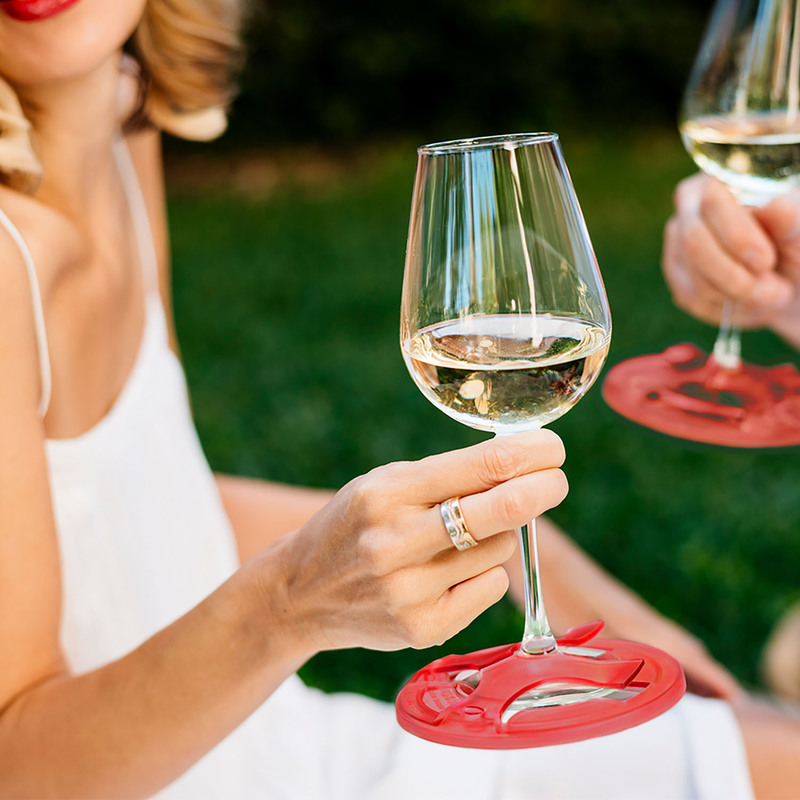 Designed and Made in Australia, because we love to drink wine outdoors. 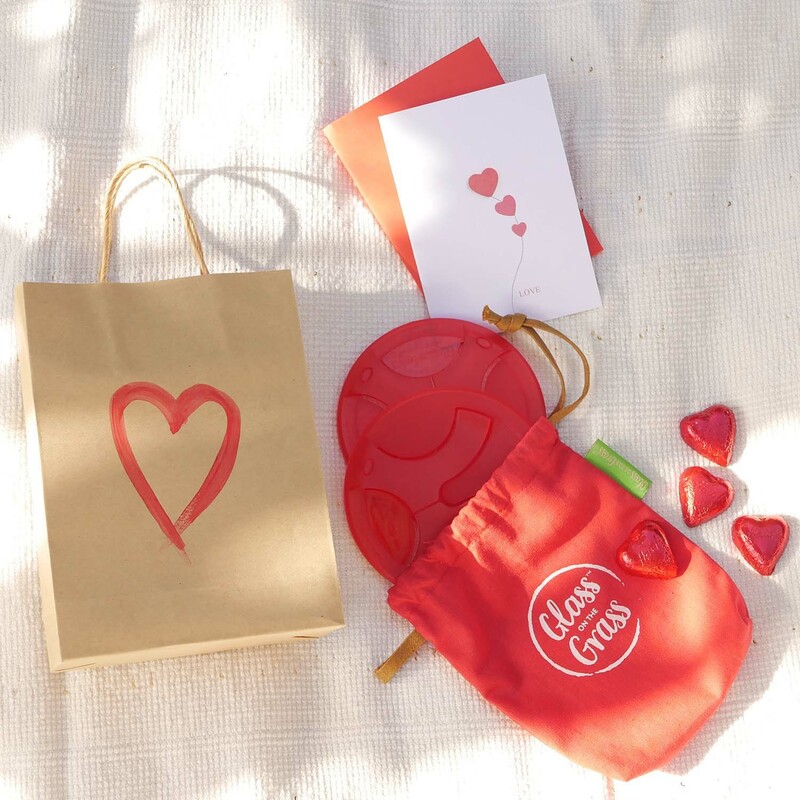 Our Valentine’s Gift Pack contains 2 Glass on the Grass™ bases, 4 Cadbury Milk Heart Chocolates, a handmade Valentine’s Day Card, packed in a hand-painted gift bag. $37 with Free Shipping Australia wide. Ends Midnight Sunday. USE COUPON CODE LOVE FOR FREE SHIPPING.